A warrant has been issued against Sri Lanka's former cricket captain - Tillakaratne Dilshan. The order has been made today (10) by the No. 09 Magistrate Court in Colombo after taking up a case filed against Dilshan for failing to pay the monthly maintenance fee of Rs. 20,000 and the insurance of his child from his previous marriage. 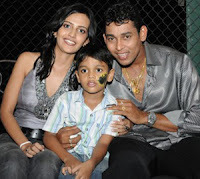 The case has been filed by Dilshan's former wife - Nilanka Withanage. Dilshan had failed to make an appearance at the court today and his lawyer informed the court that his client is currently overseas to attending a cricket tournament. However, the magistrate ordered to issue a warrant against the cricketer after lawyers of the aggrieved party had proved that Dilshan had was indeed in Sri Lanka. Last year, an official from the Finance branch of Sri Lanka Cricket has revealed in courts that Dilshan has earned a staggering Rs. 150 million from playing cricket during the period 2012 /2013.